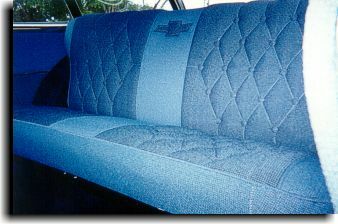 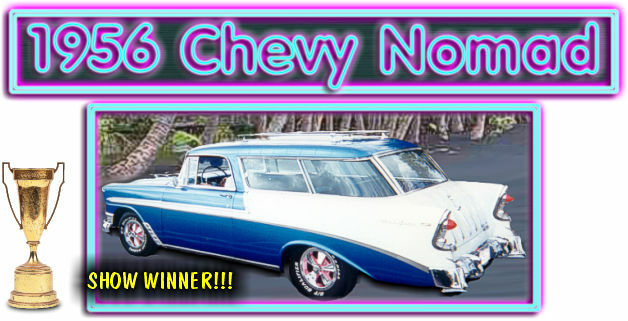 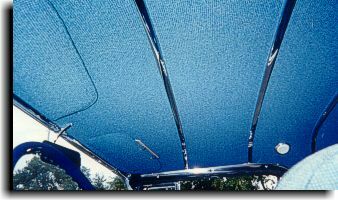 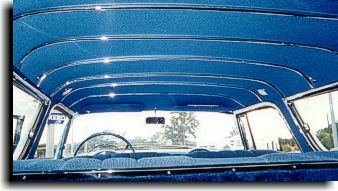 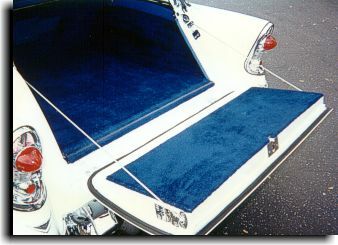 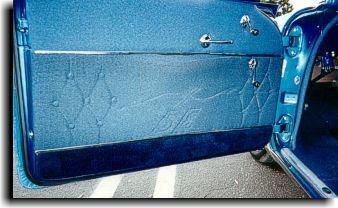 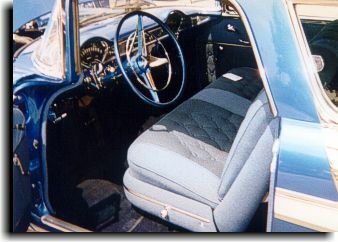 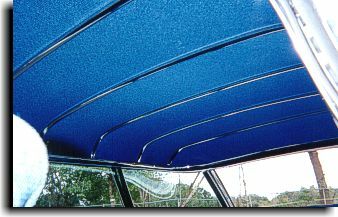 Catalina Custom used a diamond design with blue tweed Sherpa / Shire material to construct a interior to compliment the efforts of Mr. Bill Huffman of Tampa, FL for his consistent show winning 1956 Chevy Nomad. 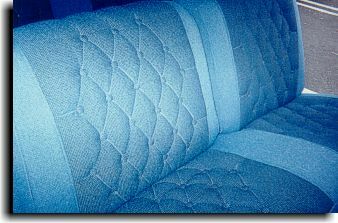 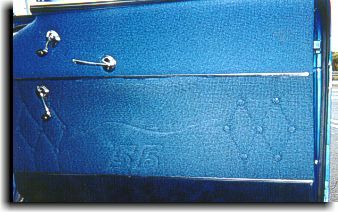 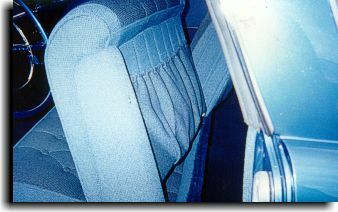 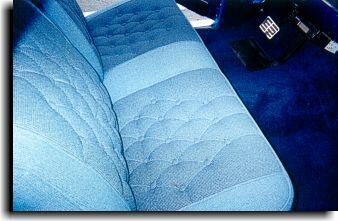 The same blue tweed that was used to trim the seats was also used to build the headliner. 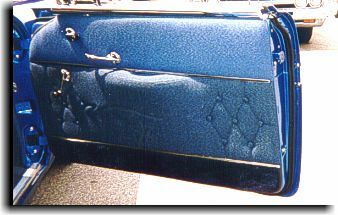 A blue cut-pile carpeting was used for the flooring.